About - The Edward C. Mazique Parent Child Center, Inc.
About the Edward C. Mazique Parent Child Center, Inc. The Edward C. Mazique Parent Child Center, Inc. (ECMPCC, Inc.), a private, non-profit community-based organization, was established in 1967. 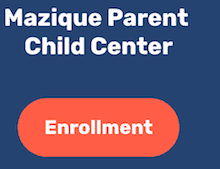 When Mazique was founded, it was the first and only Parent Child Center in the District of Columbia that provided home-based services to pregnant women and children from birth to age three. Mazique was the first infant center in DC and among the first to serve children with special needs. We continue to be the pioneer Head Start program in the country with a medical clinic as a result of a 20-year partnership with Howard University Hospital Pediatric Residency Program. 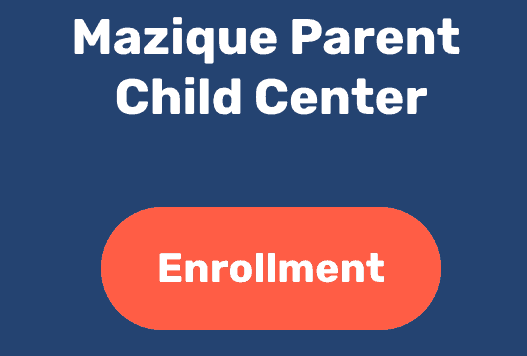 Mazique is a child development center that assists parents in developing skills, obtaining knowledge and becoming responsible advocates in ways that empower them to successfully promote their children’s growth and development, while simultaneously receiving valuable tools that promote and lead families to complete self-sufficiency. Mrs. Ruth Rucker, who was a recent college graduate and mother of three children, had a dream. She wanted to go to work and be successful so that her children would have a better chance in life. While this was a great dream that she wanted to make a reality, it was very difficult at the time to accomplish due to the lack of adequate early learning services in the District. Instead of giving up on her dream, she began to broaden her thinking and considered that she might not be alone in this dilemma. Mrs. Rucker thought about the fact that if she as an educated young mother, did not have adequate child care to support her employment availability, how much greater the plight might be for other parents in her community who did not have the educational background, or support needed to start a career. In late Summer 1968, Mrs. Rucker’s relocation was selected by UPO (United Planning Organization) to establish DC’s first Parent Child Center (PCC) with a start up grant from the National Office of Economic Opportunity which earlier launched the Head Start Program under President Lyndon Baines Johnson. To this end, Mrs. Rucker informally did what we would call today, a Community Needs Assessment, and discovered there were many other families who were faced with the same dilemma as her own. Therefore, as she pursued her hopes and dreams, which turned into goals and objectives for her own family, she set out to meet the needs of others. At that time, even facing many obstacles from the political world, as well as the social and working classes, Mrs. Rucker did not take ‘no’ for an answer but continued to pursue her passion. She persevered against all odds as she sought out to live her dreams while helping other mothers do the same. Unfortunately, Mrs. Rucker passed on September 8, 2018. So today, as the Founding Director’s dream lives on, we, the Mazique Team, are very grateful to Mrs. Rucker for her tenacity, bold stand for equality, and for her intentional service towards reaching her goal of empowering families in the District of Columbia through services rendered at the Mazique Centers. Learn more about Mrs. Ruth Elizabeth Rucker and the history and founding of the Mazique Parent Child Center. Mazique has a fully engaged governance structure working collaboratively to improve outcomes for the children and families that we serve. The Policy Council/Committee serves as a link to the Parent Committees, grantee governing bodies, public and private organizations, and the communities they serve. The Health Service Advisory Committee is a group usually composed of local health providers who represent a wide variety of local social services agencies. They include, but are not limited to, pediatricians, nurses, nurse practitioners, dentists, nutritionists, and mental health providers. Our committee meets quarterly to discuss the needs and concerns that involve our children and families daily. Our Administrative Team consists of highly certified and dedicated individuals with the content knowledge and expertise of their respective service areas.